The 2012 Economic Census, the U.S. Government's official five-year measure of American business and the economy, is entering its final days of data collection. Many businesses have shared with the Census Bureau the challenges of responding with fewer resources. It has listened, and have provided time extensions and other considerations in allowing businesses additional time to respond. For businesses that received Economic Census forms but have not yet responded, it is very important to do so now. Keep in mind that the Economic Census is required by law. In this economic climate, it is necessary to have the most accurate measure of our economy. Response to the Economic Census allows the Bureau to provide exactly that. Thank you very much for your participation. To assist you, the Census Bureau is prepared to discuss your compliance via phone. Please call 877) 790-1876. Due to timing, it also encourages you to use electronic reporting available at: econhelp.census.gov. The Census Bureau looks forward to helping you respond to the Economic Census. Your response makes a difference. The U.S. Department of Labor announced two final rules to improve hiring and employment of veterans and for people with disabilities. One rule updates requirements under the Vietnam Era Veterans' Readjustment Assistance Act of 1974; the other updates those under Section 503 of the Rehabilitation Act of 1973. For more than 40 years these laws have required federal contractors and subcontractors to affirmatively recruit, hire, train and promote qualified veterans and people with disabilities respectively. "Strengthening these regulations is an important step toward reducing barriers to real opportunities for veterans and individuals with disabilities," said Patricia A. Shiu, director of the department's Office of Federal Contract Compliance Programs, which enforces both laws. The VEVRAA rule provides contractors with a quantifiable metric to measure their success in recruiting and employing veterans by requiring contractors to annually adopt a benchmark either based on the national percentage of veterans in the workforce (currently 8 percent), or their own benchmark based on the best available data. The rule strengthens accountability and record-keeping requirements, enabling contractors to assess the effectiveness of their recruitment efforts. It also clarifies job listing and subcontract requirements to facilitate compliance. The Section 503 rule introduces a hiring goal for federal contractors and subcontractors that 7 percent of each job group in their workforce be qualified individuals with disabilities. The rule also details specific actions contractors must take in the areas of recruitment, training, record keeping and policy dissemination — similar to those that have long been required to promote workplace equality for women and minorities. More information at the US Labor Department. I work for a government organization, so we get a lot of newcomers for whom this is their first job. They range from people straight out of high school to fresh college graduates. Either way, the majority tend to be horrible workers. In addition to teaching these newcomers their job, which I have no problem with, we end up having to teach them life lessons: chip in for the candy jar; if the bathroom stall is closed, that means someone is in there; the private bathroom isn't your phone booth; asking you to do your job shouldn't be the world's hugest inconvenience (aka "I'm sorry to tear you away from Facebook/candy crush/Internet. "); wipe your feet when walking into the building.... I could go on forever!! I bring some of these issues up to my boss, but I think he thinks I'm a tattletale. He's not the best manager, and there is a ton of stuff that goes on at our level that he has no idea about. So the blatantly obscene stuff I make sure he knows about, like people cutting out of work five hours early when all the bosses are off work one day. Should I just shrug this off, or just start to take matters into my own hands? I want to be easy-going, but life won't let me! "Today’s workplace doesn’t tolerate slackers,” says Gen Y career expert Dan Schawbel in his new book "Promote Yourself: The New Rules For Career Success." In a rapidly changing economy, young people either rise to the top or don’t survive. To navigate the new workplace, Schawbel says millennials need to master a new set of rules that aren’t taught in school. Advances in technology, the rise of social media, and 24/7 connectivity mean young people have to promote themselves and take ownership of their careers in ways that previous generations wouldn’t or couldn’t have imagined. While a lot of the entrepreneurs I've met and mentored in the past decade have been successful, I've probably met as many, if not more, unsuccessful entrepreneurs. Each of them seemed to make a lot of the same mistakes — ones that could be easily remedied, but when left unaddressed, could mean the difference between success and failure. The five signals revealed here. 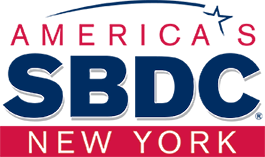 The September 18, 2013 webinar Business Valuation: Definitions, Multiples, and Resources by Alexis Mokler of the NYS Small Business Development Center is now available on YouTube. "How was your weekend?" the banker asked me. "Very nice," I said. "And yours?" "Not long enough," she said. I looked around to see if my wife, kids, or colleagues at work might be watching. I thought perhaps this was staged to watch the springs pop out of my head. • I'm so ready for the weekend. • Thank God it's Friday. • I've got a bad case of the Monday's. • I'm ready for this day to be over. • Can't wait to be off. • I'll be better when my shift/ this day is over/ I get my coffee. • Hump Day! Only two days 'till Friday! • It's too hot/ cold/ warm/ wet/ rainy/ sunny/ snowy. I believe it's more a lack of preparation and thought than anything else. Read the solution from GiveMore.com. Delegating is one of the oldest management principles around. But experts have pushed the concept so hard that it often seems like the best leaders delegate literally everything. In my career I've met more than a few managers who do just that -- they hand off or dump so much on others that the delegators lose touch with too much of what's going on in their business. Managers who stay too close to people and their projects are often thought of as unproductive and inefficient, micromanaging, old-school. But it's important to know the difference between handing-off and being hands-off. More from CBS News Moneywatch. Within every entrepreneur’s personality there exist four distinct dimensions that drive and fuel the creation and vision of enterprise: The Dreamer, The Thinker, The Storyteller, and The Leader. No doubt some of these aspects are more developed in you than others – for we each have our own strengths – but in order to successfully launch your own enterprise, all four characteristics are must be present. Those that are lacking must be developed if you are to succeed. The mink industry in the U.S. is a mom-and-pop business that has gone global, making 80 percent of its sales to status-conscious Chinese fashionistas who find the fur chic. Sapphire and black pelts are in vogue this season. Or so American breeders are left to believe from anecdotal evidence after U.S. budget cuts eliminated the mink census this year. To save $60,000, the Department of Agriculture halted the annual survey that helped inform decisions on breeding and color, along with reports on commodities such as flowers, hops, catfish and rice costing $8.4 million to compile. Without the data, farmers have to guess about what’s selling. Read more here. Classrooms today are encouraged to use verbal, visual "integrated text"(combining verbal text with visual elements - graphs, charts, diagrams, videos) with, when available and appropriate - digital (Internet) links in such a way that the text, image, and links support and enrich each other when relaying content information. The rationale behind this integration is that these elements reinforce each other while creating additional memory associations and helping to involve, reach, and even inspire all kinds of learners. Visual texts typically consist of two - and sometimes three-dimensional representations of information or events that geometrically and symbolically relate a lot of specific information in a given space. Money is the lifeline of any business, so whether you’re starting a business or running an existing one, securing financing is a major factor, especially for small businesses. Many budding entrepreneurs find the task daunting and don’t even know where to begin. Here’s a simple yet practical guide on how to go about preparing to apply for a small business loan. 1. What criteria do banks look for in making small business loans? Do Trade Restrictions Affect Your Business? If you've ever wondered just how much marketing companies know about you, whether it's your education or income or purchase preferences, today you can see for yourself. With the beta launch of AboutTheData.com, marketing technology company Acxiom is giving you a glimpse of the online profile your shopping habits have created for you — the one digital marketers use to sell things to you. Research Recap is a good source of data about equity, credit, market, and economic research. In July 2013, the Bureau of Economic Analysis (BEA) released its 14th comprehensive revision of the national income and product accounts (NIPAs). Comprehensive, or benchmark, revisions oc­cur roughly every 5 years and incorporate significant improve­ments aimed at better reflecting a dynamic economy. This year’s comprehensive revision included changes to the way the NIPAs treat research and development; movies, books, television shows, and other artistic originals; pension contribu­tions; and residential assets. This month, we’re pleased to provide an article summarizing the main changes and their effect on key NIPA measures. In general, the picture of the economy shown in the revised estimates is similar in broad outline to the picture shown in the previous estimates. The Federal Trade Commission has announced updated fees starting on October 1, 2013, for telemarketers accessing phone numbers on the National Do Not Call Registry. The access fees for the Registry are being increased as required by the Do‑Not‑Call Registry Fee Extension Act of 2007. Under the Act’s provisions, in fiscal year 2014 (from October 1, 2013 to September 30, 2014), telemarketers will pay $59, an increase of $1, for access to Registry phone numbers in a single area code, up to a maximum charge of $16,228 for all area codes nationwide, an increase from the previous maximum of $15,962. Telemarketers will pay $1 more per area code for numbers they subscribe to receive during the second half of the 12‑month subscription period, for a total of $30 per area code.